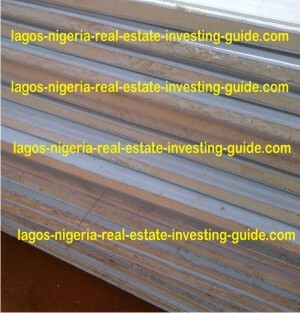 Polyurethane insulated sandwich panels are manufactured right here in Nigeria. This means that you do not need to order pu sandwich panels from overseas and wait for several months for them to arrive Nigeria before commencing your prefab building project. Buying made in Nigeria polyurethane sandwich panels also means you will avoid the hassles of port congestion and clearing delays! Now the big question: Where can you buy polyurethane insulated sandwich panels for portacabin construction and other prefab building projects? Yes, we sell made in Nigeria pu sandwich panel. And you can buy any quantity you need directly from us. Are we manufacturers of polyurethane insulated sandwich panels? 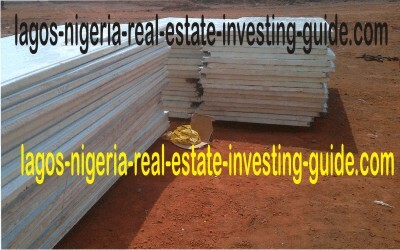 We are big time dealers for Nigeria manufacturer of polyurethane sandwich panels. And we assure you that you will enjoy doing business with us because we have your interest at heart. We are honest business people and we are passionate about customer satisfaction. If you will like to buy pu sandwich panels from a trustworthy source, then you have come to the right place. Scroll to the bottom of this page to fill the order form and one of our customer service managers will contact you. NOTE: PU is the acronym for polyurethane. As a first-time buyer of sand panels from us, you may wonder, "how is this made in Nigeria sandwich panel like?" From what engineering materials is this class of sandwich panels constructed? Sandwich panels are essentially made of three materials . . . two outer materials and one inner material. That is, one material sandwich between two materials. We said earlier that we are dealers in pu insulated sandwich panels. The word PU or polyurethane refers to the insulating material, which is the material sandwich between two other materials. Some people refer to this as the sandwich panel insert. What are the two outer materials? The two outer materials are made of galvanized steel sheet. In simple words . . . we sell polyurethane sandwich panels made of two sheets of galvanized steel and polyurethane foam sandwiched between them. What sizes of insulated sandwich panels are available? The truth is . . . we sell a range of polyurethabe sandwich panel thickness and sizes. What about length and width of the pu sandwich panel? The maximum width of panels we sell is 1.2 metres. The maximum length of sandwich panels we sell is 11 metres. This means you can order any sandwich panel within the range mentioned above and we will supply them to you. Do we stock sandwich panels? order something different. So, stocking any specific range of sizes and thickness is a waste of resources. So, how soon will sandwich panels you order be ready for collection? At least 4 business days. And we can assure you that this is a lot better than waiting 2-4 months for any sandwich panels ordered from overseas to arrive. The best part is . . . we deliver pu sandwich panels manufactured to your specification. And you can get your order within a week of placing your order. Thinking of buying polyurethane sandwich panel for that prefab building project or manufactured home? Fill the form below to place your order.